Big corporations should be proactive when it comes to demonstrating care for their employees' well-being. Last week, Florida-based supermarket chain Publix made an about-face on its healthcare coverage for employees after significant backlash. The company initially made headlines for refusing to cover the drug Truvada — commonly known as Pre-exposure Prophylaxis, or PrEP — to prevent the transmission of HIV. 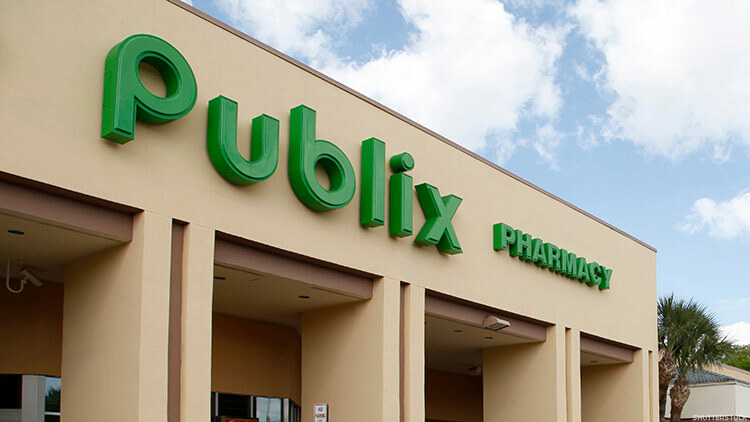 After a national public outcry — including from prominent local lawmakers and advocates — Publix reversed course and affirmed that it would cover PrEP across its workforce. The move was noteworthy especially because Publix employs nearly 190,000 people across the South, the same region of the country with disproportionately high rates of new HIV diagnoses (according to the CDC, the South makes up over 50 percent of new cases of HIV while making up just 38 percent of the U.S. population). Publix did the right thing, albeit under public pressure, by providing coverage for life-saving drugs to its own workforce and by extension, communities in which the supermarket giant operates. But their work on inclusion and social responsibility, particularly LGBTQ equality, should not stop there. It may seem that inroads in Corporate America happen in the dramatic ways we witnessed with Publix: a colossal mistake catches the ire of the public and change ensues. But successful businesses do not take a reactive stance to create long-term success, they are proactive in ensuring they build an infrastructure that attracts and retains the best talent pool. That’s why hundreds of major businesses opt into the HRC Foundation’s Corporate Equality Index survey every year. Comprehensive policies, benefits and practices aimed at covering the LGBTQ workforce and its families are now established as mainstream practices across major businesses. For example, in the Human Rights Campaign Foundation’s 2018 Corporate Equality Index, we reported that a full 83 percent of the Fortune 500 offer gender identity-based non-discrimination protections and 91 percent have the same for sexual orientation. So long as a majority of states and the federal government still lack clear protections from discrimination for LGBTQ workers, these corporate policies offer a vital layer of protection for employees and their families. Nowhere is the need for that layer of protection more pronounced than in the South, where Publix is located and where no states, as of yet, have adopted explicit statewide protections. As we work to pass laws like the Equality Act, which would provide comprehensive federal non-discrimination protections based on sexual orientation and gender identity, these employers have an urgent responsibility to clearly protect their workers and to foster inclusive environments. But as the Publix controversy reminds us, inclusive workplaces are built from more than just nondiscrimination policies; they include access to medically necessary health care. When HRC first launched the CEI in 2002, just 3 percent of the Fortune 500 had gender identity nondiscrimination protections and none had transgender-inclusive healthcare coverage. Spurred by evolving law and outreach we have conducted over the last decade, now a majority of the Fortune 500 (58 percent) offer transgender-inclusive healthcare coverage. Those major companies, coupled with hundreds more public and privately held employers with whom we work, are now offering millions of workers that critical coverage. That’s just one example of a benchmark set by the CEI — and then widely embraced by companies who want be competitive in attracting a diverse, talented workforce. On dozens of policies and practices, the CEI offers a roadmap to businesses wanting to ensure they remain LGBTQ inclusive and competitive. Had Publix participated in the CEI — which it still does not — they might have been aware of and addressed this issue long ago. Participating in the CEI is a critical step in the process of establishing equality in the workplace. Companies like Publix should take this moment to assess other policies and practices that affect their LGBTQ employees. The lesson for all employers here is to invest in common sense and fair workplace practices early and often: benchmark using tools such as the CEI, listen to LGBTQ workers and advocates and, most importantly, take proactive steps to allow all workers to succeed. Building businesses of the future will not come from reactive change — it will only come from a long term, sustained commitment to diversity. DEENA FIDAS is Director of the Human Rights Campaign Foundation’s Workplace Equality Program.